New Zealand Migration International is the leading specialist in providing the most comprehensive and up to date visa services and immigration solutions. Giving us a bit of info now helps move things along more quickly. New Zealand Migration International, a partner of the Migration Agent and Immigration Lawyer Association (AMAILA), was recently acknowledged as Best Migration Agency with the Immigration Choice Awards in 2017. With another year behind us we are proud that for the second year, our licensed immigration advisers have been awarded “Best Migration Agency” in the 2018 Immigration Choice Awards. With over 50 Licensed Immigration Advisers, Registered Migration Agents and Immigration Lawyers, we provide comprehensive, high quality immigration services for all sorts of visa applications for New Zealand - at a fraction of the usual costs. Our experienced team of immigration advisers focus on the needs of our clients and offer tailor-made solutions to suit each individual situation. We understand that you seek both professional and reliable immigration assistance and a partner providing you with quality visa services giving you the confidence to successfully achieve your personal migration goal whilst you receive value for money spent. We are licensed immigration advisers in New Zealand, Australia and Europe. We assist your company to get your people to New Zealand – quick, efficient and hassle free so that you can focus on growing the business. 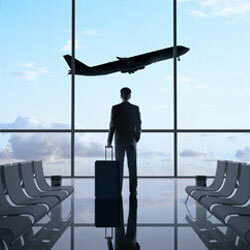 Our well established business division caters specifically for both businesses recruiting staff internationally or overseas businesses seconding employees to New Zealand. We assist you with the entire visa application process with Immigration New Zealand all stages. You and your family may be eligible for permanent residency under New Zealand business migration schemes if you have a background in investment activities or a record in business management. New Zealand Migration International provides strategic assistance if you plan to set up a business in New Zealand. We believe that the choice of the best possible business visa category is paramount to maintain your business success.